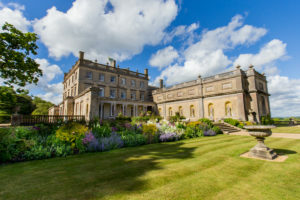 Somerley is the jewel in Hampshire’s crown; a stunning privately owned Stately Home set in the heart of a 7,000 acre Estate on the Hampshire/Dorset border. Available for exclusive hire – whether you dream of laid back opulence in the Main House up, a stunning marquee on the lawns or a boho inspired event in The Walled Garden or Woodlands, Somerley’s friendly and experienced Events Team can help you create your perfect day. Overnight accommodation also available within the main house or glamping!